President Ashraf Ghani on Monday described Afghanistan’s current poverty rate as shameful, saying when poverty rises above 50 percent, then it threatens the social stability of a country. “When poverty rises above 50 percent, how can society attain stability, poverty is the enemy of stability,” said Ghani. 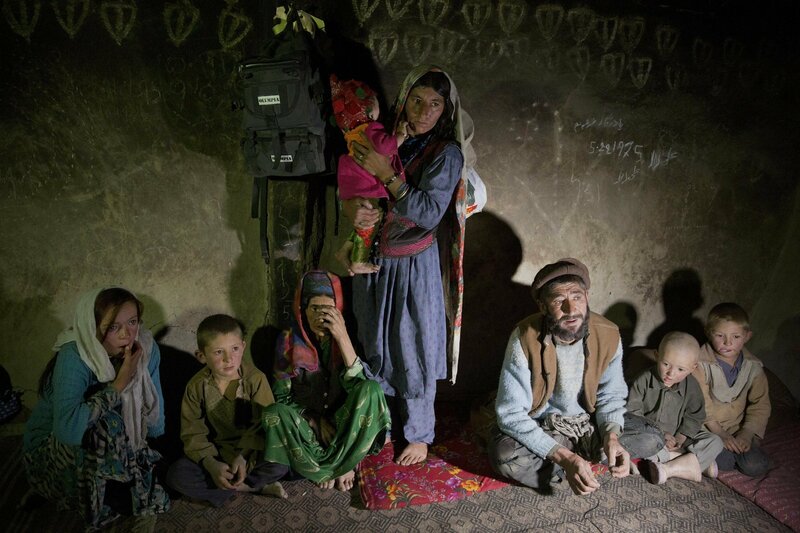 This comes a day after a joint survey carried out by the Central Statistics Organization (CSO) and ICON International shows that almost 54 percent of the population in Afghanistan live below the poverty line. The survey, titled ‘The living conditions in Afghanistan’, indicates that more than 16 million people in Afghanistan, which constitutes half of the population, live like this. The survey was carried out two years ago and the percentage of those living below the poverty line is now likely to be higher. Based on the survey, the number of people who cannot afford their basic needs is around 15 percent while the unemployment rate is recorded at around 24 percent. This comes a few days after President Ashraf Ghani pledged to create three million new jobs in the country. Meanwhile, a number of families hit by poverty have said their economic situation has deteriorated under the National Unity Government (NUG). Mohammad is an Afghan teenager who has worked on the streets for the past ten years. He is the sole breadwinner for his family and tries to earn money by polishing shoes. “Sometimes I earn 200 Afs daily, sometimes 100 or 50 Afs and sometimes I can’t even earn that. I couldn’t manage to go to school, I was forced to work to win the bread,” he said. Mohammad who has four younger brothers lives with his parents in a rented house. “I sit at the corner of streets, sometimes people do not allow me to sit there, I studied till class 8, then I left due to poverty,” said Mohammad’s brother Hashmat. Poverty has deprived Mohammad’s brothers from education. But, Mohammad Rafi is an educated youth who complains about the lack of job opportunities. “I consulted hotels to find a job, but failed, until you know someone you can't find a job,” he said. Although the survey has not pointed out the poverty rate for 2016, previously the Asian Development Bank (ADB) in a report, predicted that Afghanistan’s economic growth had not gone well in 2017 due to insecurity and less investments. 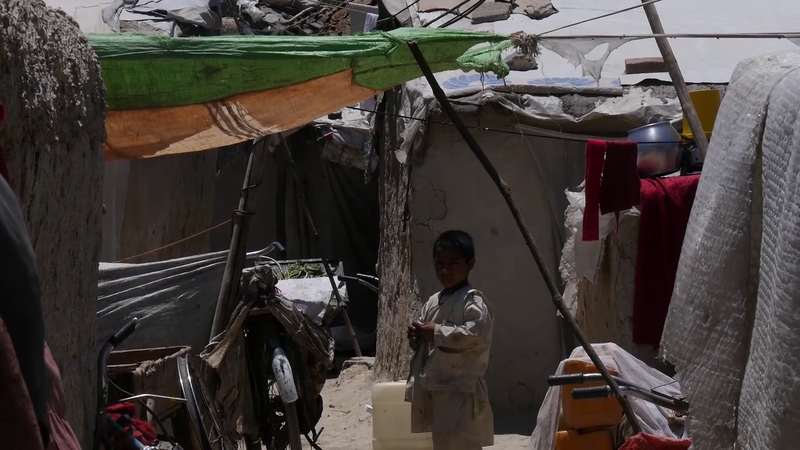 The new survey comes at a time when 20 of Afghanistan’s 34 provinces are suffering from drought, and international aid agencies are struggling to raise the millions of dollars needed to help them. A new report released by the ADB in April about the economic situation in Asia shows that the organization is not optimistic about economic growth in Afghanistan for the next few years. “… your economy is growing too slowly, if you have the two percent growth you had in some years, and your population growth is three percent or higher, you cannot keep people from poverty,” said David Daniel Oldfield, ADB Principal Economist for Central and West Asia. The report stated Afghanistan’s economy will only grow by 2.5 percent in 2018 and 2019 due to challenging security and political situations in the country. According to the report, domestic revenue collection rose by 11.2 percent to 169 billion AFs in 2017 and exceeded the target set under an International Monetary Fund Extended Credit Facility arrangement.